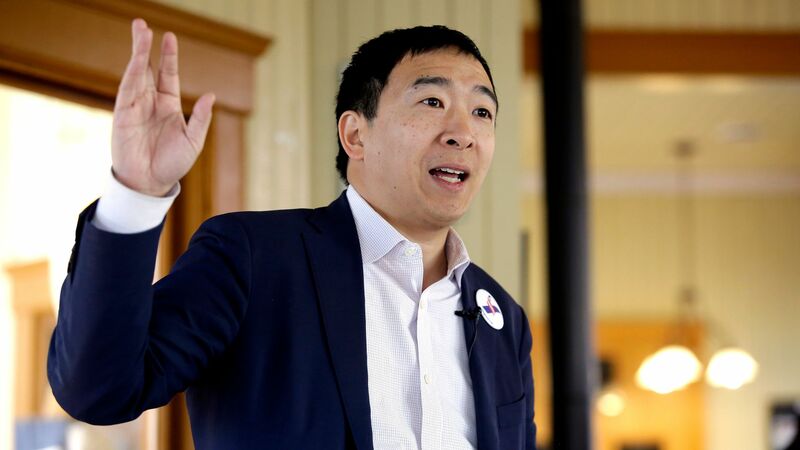 Andrew Yang is a former tech executive who founded Venture for America, a nonprofit young entrepreneur fellowship program. His central issue, a proposal for universal basic income, is grounded in the belief that millions of jobs will be wiped away due to automation. Universal basic income: Yang's proposal — "The Freedom Dividend" — would provide every American over 18 years old with $1,000 per month. He contends that this would grow the economy by 13 percent and increase the labor force by 4.5-5 million people. This policy stems from his belief that AI and automation will wipe out millions of jobs, and that UBI is the path to avoiding economic ruin. Medicare for All: Yang advocates for a single-payer health care system. Economy: Yang calls his economic philosophy "human-centered capitalism," advocating for a system that emphasizes metrics that measure "human well-being and fulfillment," such as standard of living, health-adjusted life expectancy, childhood success rate and social and economic mobility. He described his plans as a "vision for a trickle-up economy" on ABC's This Week. Marijuana legalization: Yang pledged to legalize marijuana and pardon all non-violent drug related offenses, then later clarified in an interview with George Stephanopoulos that he would only pardon marijuana-related offenses. Yang said he would still decriminalize opioids. Social media: Yang has proposed a federal department to oversee social media, citing "a huge surge in depression, anxiety, and emotional issues" on ABC's This Week. He described it as "a Department of the Attention Economy." Circumcision: In March, Yang came out against circumcision, telling the Daily Beast: "I’m highly aligned with the intactivists. History will prove them even more correct..From what I’ve seen, the evidence on it being a positive health choice for the infant is quite shaky." Anonymity: Yang is not well-known and will struggle to drive the conversation. Inexperience: He has not worked in government before. He says he rebranded universal basic income to the "Freedom Dividend" because it tests better with conservatives. Automation and AI has left some American workers worried they lack the skill sets to compete in a changing economy. Singapore's SkillsFuture program offers one national re-education model that aims to address such concerns. The big picture: Since the launch of the program in 2016, over 285,000 people — more than 10% of adult residents — have participated, and 43% of Singaporean CIOs say the program has helped mitigate the economic effects of the skills gap. How it works: Through SkillsFuture, Singapore's government reimburses citizens up to SG$500 per year for approved retraining courses. Automation is reducing jobs across manufacturing, financial services, pharmaceuticals, construction, agriculture and administration. In response, Singapore's program supports re-education in areas such as web development and design, entrepreneurship, the digital workforce, and SEO. The Singaporean government partnered with universities and online educational platforms to provide a wide range of approved technology-related classes. Citizens use their SG$500 allowance to sign up for classes that will accelerate their careers. Between the lines: To address a growing domestic skills gap and maintain a globally competitive workforce, the U.S. could invest in its own re-education and skills training programs. These solutions can come from three sources: trade organizations, government and industry. Trade apprenticeship programs are helping to close the gap in Germany, for example. 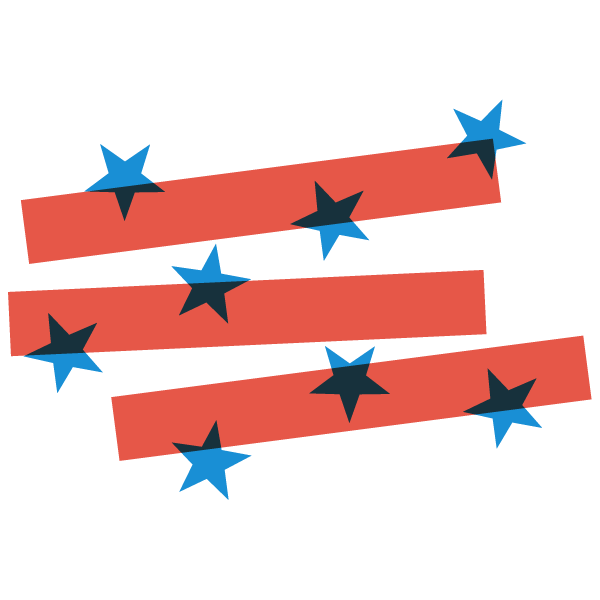 Business leaders in the U.S. could also offer education resources for their workforces. The U.S. government could partner with community colleges and online education platforms to make courses on sought-after skills, like programming languages. Yes, but: To help Americans who already feel impacted by the skills gap, these programs would need to be accessible and affordable, and may require limits on the role of for-profit colleges, which can leave workers with unsustainable debt loads. The bottom line: According to a Deloitte study, skills now expire every five years, at which point workers must learn new skills to meet existing responsibilities. U.S. unemployment is low, which suggests that a skills gap hasn't largely hurt the workforce — but if it does, it would take time to build out robust education programs. Richard Qiu is a senior vice president at Udemy an online learning platform, where he manages Udemy's education partnership with the Singaporean government.